Water is central to three exhibitions at Redland Art Gallery in February and March 2015. 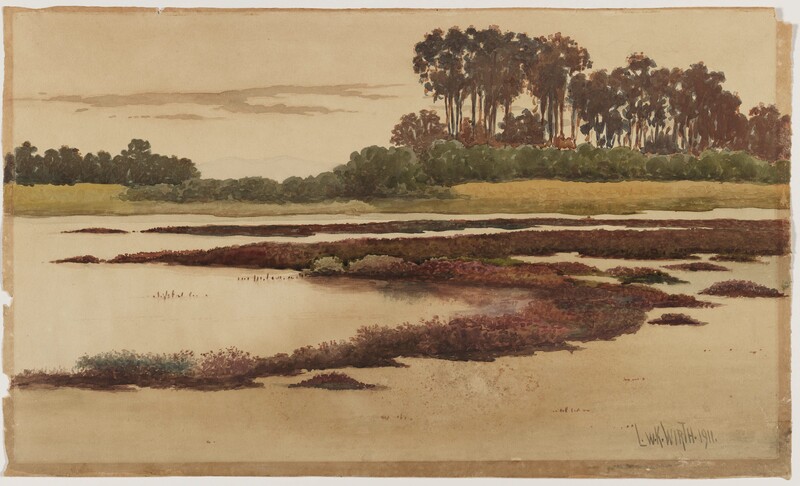 Transparent: Watercolour in Queensland 1850s–1980s and Connections to waters of Minjerribah will be on display at Redland Art Gallery, Cleveland while Passage: Pattie Murray and Sandra Pearce will visit Redland Art Gallery, Capalaba. Transparent: Watercolour in Queensland 1850s–1980s is a QAGOMA regionally touring exhibition of 150 watercolour masterpieces from the past 150 years. Connections to waters of Minjerribah sees the relationship the Quandamooka People have with sea and water translated into textile designs. Passage: Pattie Murray and Sandra Pearce shares how Pattie Murray and Sandra Pearce have artistically responded to the tidal flows of local coastal areas. For details on these and other upcoming Redland Art Gallery activities and exhibitions, visit http://artgallery.redland.qld.gov.au. 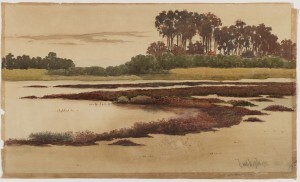 Image: LWK Wirth / Germany/England/Australia (1858-1950) / Saltwater lagoon 1911 / Watercolour on paper / Gift of Doug Ritchie through the Queensland Art Gallery | Gallery of Modern Art Foundation 2013 / Collection: Queensland Art Gallery.